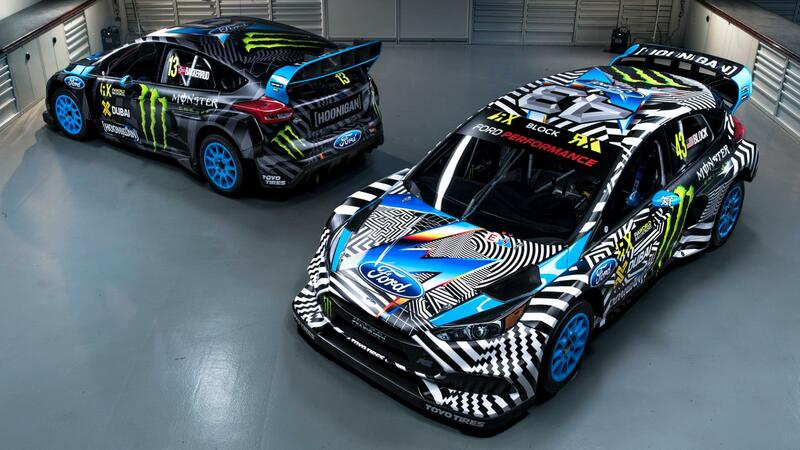 We’ve talked about how influential Ken Block had been in the livery game in both his racing career as well as starting major trends in the apparel industry. 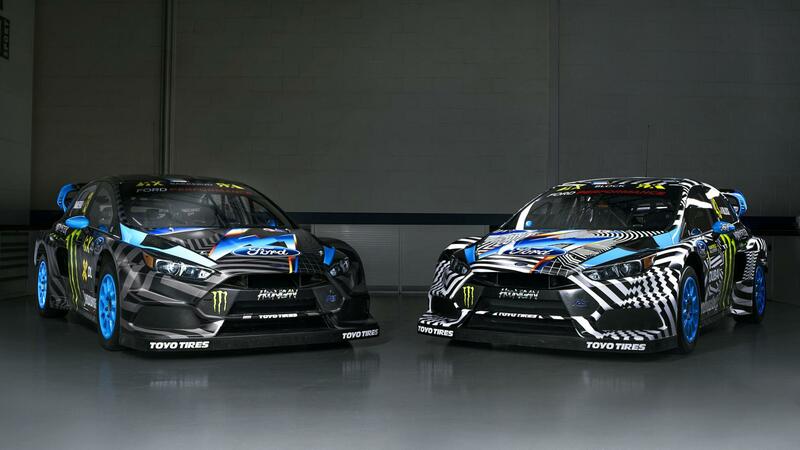 Today The Hoonigans YouTube channel dropped the new Livery that Block and his Hoonigan Racing teammate Andreas Bakkerud will be using for the 2016 FIA World Rallycross Championship, and they have raised the bar yet again. They had an artist by the name of Felipe Pantone, who uses spray paint to make this crazy yet intricate designs and logos, make eight different pieces. Then using all eight designs they came out with what might be the best looking liveries Block has ever done, and that is saying something considering the apparel empire he has been able to establish for himself. 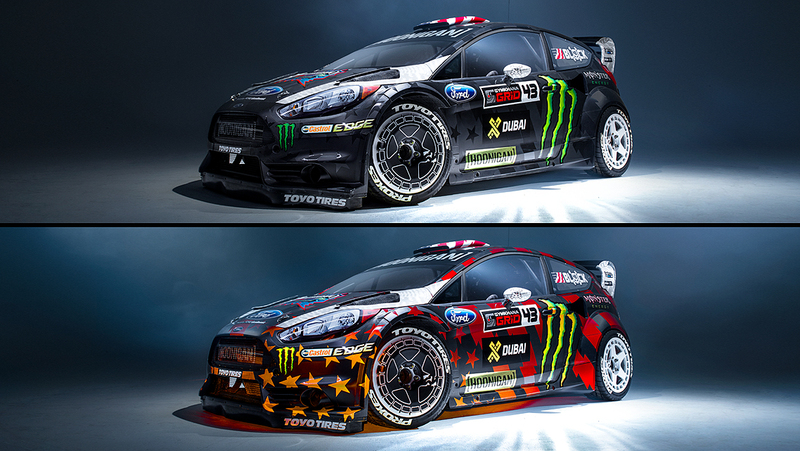 We loved the design on the Gymkhana 8 car with colors that shifted and changed depending on the angle. And even though we’ve seen that style of paint before, they somehow did something different because it just looked special. At the end of 8 they teased us with the RS RX so it was good to see them a little bit more in this video, although we still haven’t seen it run yet. I ‘ve been looking for concrete numbers as to what this RS RX will have but its very safe to say it will have at least 600 hp and 600 lb-ft of torque with an all wheel drive system capable of going from a dead stop to 60mph in a neck snapping time of less than 2 seconds. From the look of the interior shown in the video it appears to have about every racing bell and whistle you could ask for with big bright digital displays and the best paddle shift transmission and hydraulic handbrake available today. So there is no doubt that Block and his new teammate are going to be extremely competitive in the oncoming season.